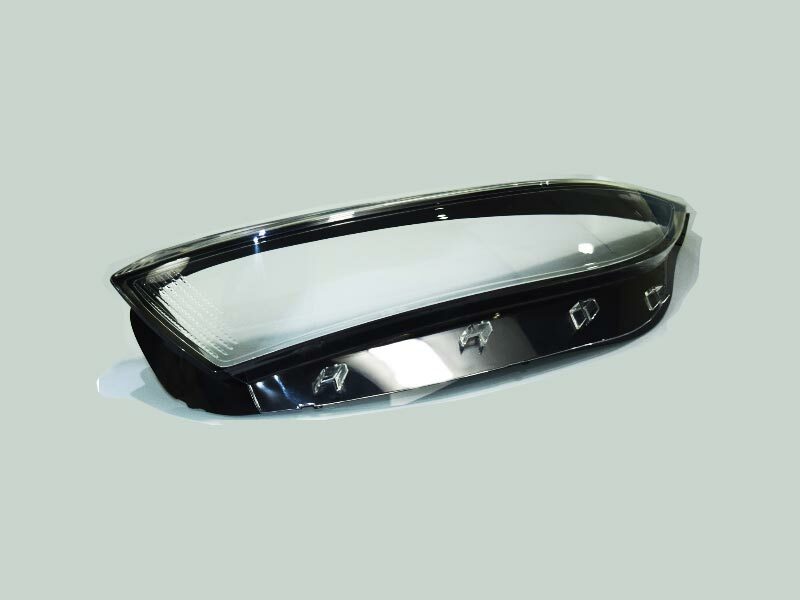 This project involved manufacturing an entire car headlamp assembly for a big name in automotive lighting component manufacturer, using various technologies. Given the number of parts, materials and finishes expected in the assembly Imaginarium Rapid choose different technologies for different parts. Bezel: This part needed to be partially chrome plated as per specifications. Since 3D printed parts show infeasibility for partial chrome plating, the part was manufactured by CNC machining a block of ABS. This was then partially plated in chrome and glossy painted. Beauty Ring: This part had to be completely chrome plated. The part went through extensive finishing for 3 to 4 days, before being chrome plated. Headlamp lens: This part needed to be completely transparent. One option to manufacture the part was by vacuum casting but air bubbles usually found in this process would hinder the requisite refractivity of the part. To manufacture the lens, a block of PMMA was machined into an entire headlamp in one single piece. Post machining, it was hand polished extensively for multiple days to obtain 100% transparency. Aluminium Housing: The challenge involved to manufacture this part was to make it as a single piece. This was not possible in the conventional 3 axis CNC machine. Imaginarium Rapid used a 5 axis CNC machine and manufactured the part. Mounting Bracket : This was a functional part needed in Nylon glass filled material. Hence we choose Selective Laser Sintering (SLS) to make the parts in the desired materials. Housing : This was a huge complex part which was needed in one single. Therefore our team of experts used iPRO9000 SLA machine (bed size of over 700mm) to make housing. CNC Machining: High precision machined parts in plastics & metals. Appropriate for one-off prototypes upto thousands of parts. High speed machining capability through 3 axis, 4 axis & 5 axis. 3D Printing: Prototyping of high precision plastic & rubber parts for rapid prototyping for form, fit & function. MATERIALS : PMMA material, ABS, AL6061-T6, PC, PA12GF.